If you are actively seeking homes for sale in Byron GA under 200K then you have come to the right spot. Below are the current Byron GA homes for sale in this price point. If you have questions about any of the listed houses below, please contact me. I would love to earn your trust and help you find the home of your dreams in this community. 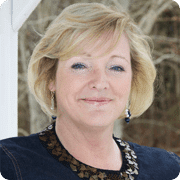 Hi, I’m Anita Clark, and I am a local market expert and will tailor my services to meet your individual needs and goals. My commitment to you is to provide the personalized real estate services you deserve. Anything less is a disservice! Copyright © 2008 - 2019 Selling Warner Robins. All rights reserved.